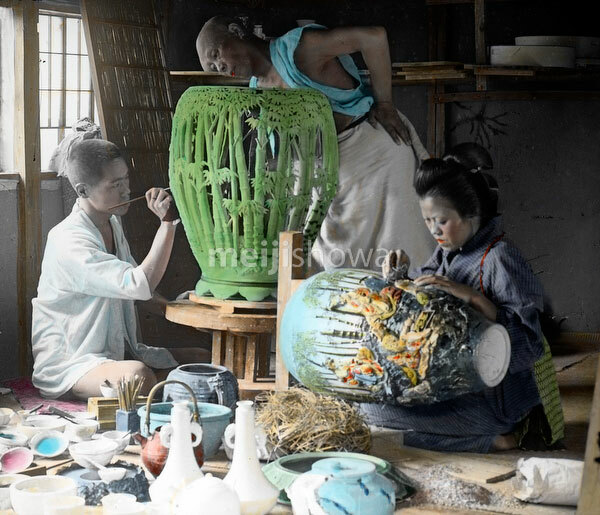 A man and woman are putting colors on porcelain umbrella stands while another man looks on. The stand on the left features an intricate bamboo design. Brushes and dyes are spread out on the floor.